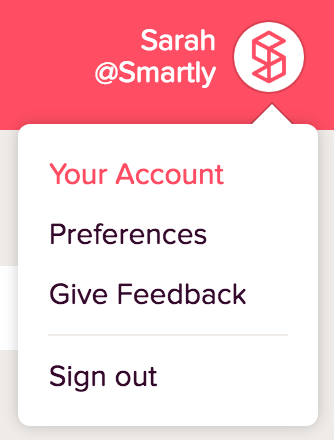 How do I edit my Smartly profile? 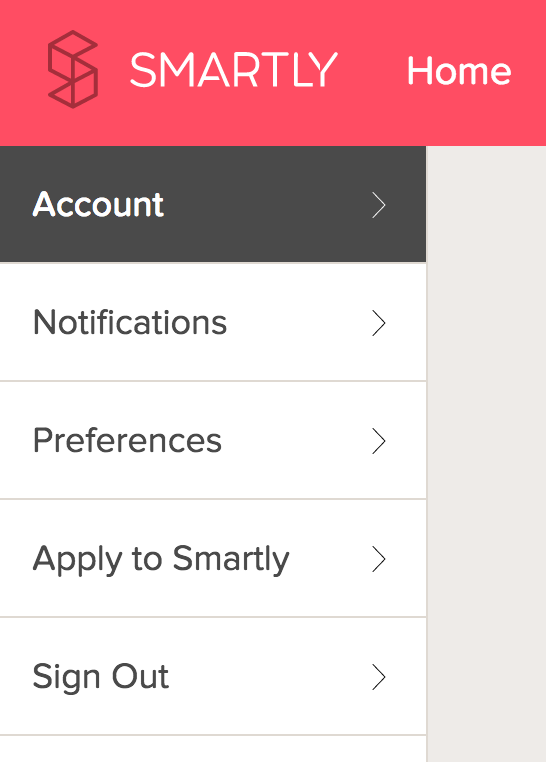 Select the navigation menu by clicking the menu icon in the upper right hand corner while logged into Smartly. Select "Preferences" to bring up all the settings options where you can update your name, your password, preferences, notification settings and more! To return to your dashboard, just select 'Home' from the top bar or click on the Smartly logo.